Click on the album cover here and sample songs and see lyrics. Stay tuned for more inofrmation and tour dates. A Pledge for Peace Album Insert. Payman Abdali is a synthesist who has created a Persian soundscape in his music. His instrumental album is a powerful sonic story that will take you to distant Persia. Paiman moved to the U.S. in 1983 and started writing music on synthesizers and computers, honing his personal musical vision. In his music he paints a picture of a land and culture torn between the ancient and the modern, and shares with his listeners his gift of harmony and rhythm. At the ripe old age of seven, I was nearly blown away by gusty winds born over The Gulf that sweep over the city of Khoram-shahr, in the southern region of the Iranian plateau. I spent my early childhood in this port city by the turquoise blue waters of the gulf, stretching all the way to the horizon. My imaginations took flight; I soared in "Ether," I felt free as a bird. I wanted to create a spaceship to take me there, where my thoughts found no boundaries. On my eighth birthday, my father gave me a chemistry set, that tantalized me beyond description. My enthusiasm overflowed; now I was a scientist. Really and truly I was immersed in the process of finding the "Ether," the substance that had eluded discovery for ages. At the age of eleven, I embarked upon learning mathematics and logarithm, and their interrelationship with everyday life and its manifestations. I was curious, driven to learn and relate the numbers to the many fields and practices around me. My dreams were taking shape, I was more methodical, music entered my life, or shall we say I was given to music. My thoughts took flight, I conducted my first orchestra in my dreams; to my own total astonishment and amazement. Music had impacted my life with a bang that I would hear the reverberations for many years to come. In 1978 the destiny took a U-turn; I was sent to England to pursue my education. I had entered a time warp; I was propelled into an unknown culture far away from my home and friends. I missed those tropical winds that were born over the gulf and swept over the city of my birth. The differences were incalculable, and I was an impressionable young man in search of his future. Indeed I had stepped into the domain of the Western World, all unprepared and ready to learn. I never stopped dreaming, unswervingly and without hesitation I proceeded with my new life and all its nuances. Upon my return home, in times of turbulence and cultural revolution I found solace in working with an old friend KEYVAN TAGHI-POUR, and formed our first underground band, called "The Human Beast." We dreamed and played, and played and dreamed endlessly. In early 1983 I traveled to the United States to continue my education and follow my dreams. That is precisely what went on, where I bought my first synthesizer, a Sequential Sixtrack with on board sequencer. I started sequencing in early 1985, where the dreams became more pronounced, and the results were more tangible both in dreams and reality. In late 1988 as fate crossed our paths, one of the founders of X DOT 25 Music, and I met for the first time, after a live concert in San Francisco. 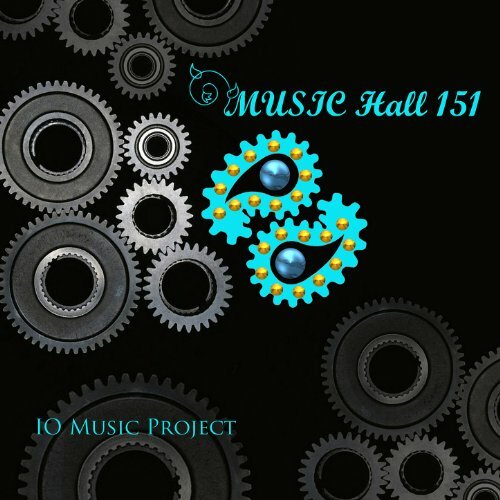 Our cooperative efforts resulted in the birth of the Third Millennium Music production. Instrumentation: Voices, Electric Guitars, Keyboards, Dumbak. 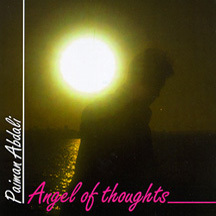 Payman Abdali is a synthesist who has created a Persian soundscape on his CD, "Angel of Thoughts". 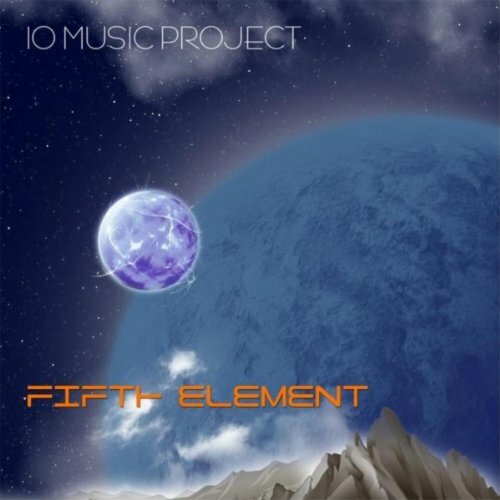 This instrumental album is a powerful sonic story that will take you to distant Persia. Payman moved to the U.S. in 1983 and started writing music on synthesizers and computers, honing his personal musical vision. Here he paints a picture of a land and culture torn between the ancient and the modern, and shares with his listeners his gift of harmony and rhythm. This album is another "Persian Art Music" collection. Payman Abdali's music is richly romantic, a sonic story teller of epic proportions who will haunt you with an emotionally charged journey into distant Persian music via modern and traditional electric and acoustic instruments. At the ripe old age of seven, I was nearly blown away by gusty winds born over The Gulf that sweep over the city of Khoram-shahr, in the southern region of the Iranian plateau. I spent my early childhood in this port city by the turquoise blue waters of the gulf, stretching all the way to the horizon. My imaginations took flight; I soared in "Ether," I felt free as a bird. I wanted to create a spaceship to take me there, where my thoughts found no boundaries. On my eighth birthday, my father gave me a chemistry set, that tantalized me beyond description. My enthusiasm overflowed; now I was a scientist. Really and truly I was immersed in the process of finding the "Ether," the substance that had eluded discovery for ages. At the age of eleven, I embarked upon learning mathematics and logarithm, and their interrelationship with everyday life and its manifestations. I was curious, driven to learn and relate the numbers to the many fields and practices around me. My dreams were taking shape, I was more methodical, music entered my life, or shall we say I was given to music. My thoughts took flight, I conducted my first orchestra in my dreams; to my own total astonishment and amazement. Music had impacted my life with a bang that I would hear the reverberations for many years to come. In 1978 the destiny took a U-turn; I was sent to England to pursue my education. I had entered a time warp; I was propelled into an unknown culture far away from my home and friends. I missed those tropical winds that were born over the gulf and swept over the city of my birth. The differences were incalculable, and I was an impressionable young man in search of his future. Indeed I had stepped into the domain of the Western World, all unprepared and ready to learn. I never stopped dreaming, unswervingly and without hesitation I proceeded with my new life and all its nuances. Upon my return home, in times of turbulence and cultural revolution I found solace in working with an old friend KEYVAN TAGHI-POUR, and formed our first underground band, called "The Human Beast." We dreamed and played, and played and dreamed endlessly. In early 1983 I traveled to the United States to continue my education and follow my dreams. That is precisely what went on, where I bought my first synthesizer, a Sequential Sixtrack with on board sequencer. I started sequencing in early 1985, where the dreams became more pronounced, and the results were more tangible both in dreams and reality. In late 1988 as fate crossed our paths, one of the founders of X DOT 25 Music, and I met for the first time, after a live concert in San Francisco. Our cooperative efforts resulted in the birth of the Third Millennium Music production. I began composing in 1989, and dreams came to fruition through my synthesizers. The album you are holding in your hand is the culmination of a long journey through time and the realization of many dreams. May this music harmonize with your dreams as it has with mine. Who knows, maybe you and I have had the same dream sometime and may have been the same person in the "Ether." The other night in a mood of tranquility and utter exhaustion, I was reflecting back on the days' events with a modicum of satisfaction and inner peace. A jumble of thoughts began marching across my mind in their usual inharmonious fashion. I was too tired to whip them into shape, or to demand an organization or priority. Just like any spectator, I was screening selected episodes of my life in living color with no particular order. Perhaps I had been working too hard to produce an album for an old friend and an admirable musician. I have known him a long time, as his music has evolved through these many years. Music is his dream, refuge, and companion, without equivocation. I presume that if his life were to be divided into its main constituents, music would take the bigger half. He is dedicated, progressive, unique, talented, with a god given gift for harmony and rhythm. In this album he bares his soul, and shares with you listeners, the essence of his dreams as he so aptly has called "The Dream Land." Special thanks to Saeed Emdadi. "All one together as one forever." 1. Continuum: You plant a seed and you watch it grow. Some seeds were planted thousands of years ago and the plant grows through centuries; through wars, through invasions, happiness and sorrow. The superior plants continue without a stop. Continuum! 2. Pegah: Pegah means the dawn; clear your mind and breathe the morning breeze. 3. The Smiths (Ahangar): According to ' Shah - Nameh ' ( The King of Books ), by Ferdosi ( the reviver of Parsi Language, 1000 years ago ), Zahaak, a king of bad blood, ruled in darkness for one thousand years. Cursed by the " Ahriman " (the Devil), snakes began to grow out of his shoulders. They harassed the king until they were daily fed the brains of two young Persian men. Gradually two cooks found their way to the king's kitchen and freed one man a day, substituting a sheep's brain for his. When the number of men thus freed reached two hundred, they escaped to the mountains and became the Kurds. There was an Ahangar (swordsmith) named Kaveh, who had lost eleven of his twelve sons to Zahak. He led a revolt against the dark king, to bring in the true king of pure blood, Ferydoon Shah. 4. The Agony: Zamaan (Time), Zendegi (Life), Bashariaat (Humanity), Sabre (Patience), Taarikh (History), Tabiaat (Nature), Sher (Poetry), Khandeh (Laughter), Erfan (Spirituality), Geryeh (Cry), Honaar (Art), Vafadari (Fidelity), Mousighi (Music), Doshmani (Animosity), Khiyannat (Betrayal), Dosti (Friendship), Khanevadeh (Family), Doshmani (Animosity), Hayvanaat (Animals), Parvaaz (Flying), Mohabbat (Caring), Soghoot (Fall), Mohabbat (Caring ), Piroozi (Victory), Tavalod (Birth), Eshgh (Love), Marg (Death), Tanafour (Hate), Kodam Zaman? (When? ), Shekast! (Defeat! ), Kodam Zaman? (When? ), Shekast? (Defeat?) , Bia baa man be shahre royaahaa va ba khodat ashena show. (Come with me to the land of dreams and get to know yourself. ), Amma! (But! ), Amma! (But! ), Amma! (But!) ....... But the Dream Land is agonized!! 5.Counting Sheep: Sheep-like minds metamorphose into free thinking humans. " All one together as one forever. " 5.5 Eastern Sun: The sun is in the East, but the challenge is yet to be faced. 6. Just a Dream: All that I am. All that I feel. All that I have seen. All to be faced. Life in the real train. History in the real train. Grace and sorrow, yesterday and tomorrow. Pass by the train. 7. Overdose: Witness the herd following the wolf. The Overdose Stage. Y :"I don't know. .... I cannot sleep." Y: "I don't know. I am thinking." Y: "Yes. ..... You know better than that." X: "What do you mean by that ?" Y: "You know what I mean by that. And you know it well "
X: "I don't understand it clearly. Be clear." Y: "The sheep that you associate with." X: "I don't understand a thing." Y: "Huh! You know it .... you know it really well." X: "I associate with them?!" Y: "Yes, you associate with them!" Z: "HEY GUYS, GET BACK TO SLEEP. DO YOU KNOW WHAT TIME IT IS? " Y: "Leave us alone. You don't know anything." 9. Angel of Thoughts: The angel of thoughts is the lonely one in the deepest valleys of the Motherland (Zagross Mountains in the Bakhtiari region). In the swamps of the Motherland (Gilan). 9.5 Pooneh: The flower. Grows in the Alborz Range, after rain.